And there was another session. This time, Varun Sethi from Blockchain Lawyer was seen quite energetic discussing “Regulatory framework for blockchain in India.” Where everyone was talking about the things they are doing with the blockchain technology, Sethi, on the other hand, is doing the things FOR the blockchain technology. Sethi brought the different perspective to the technology. 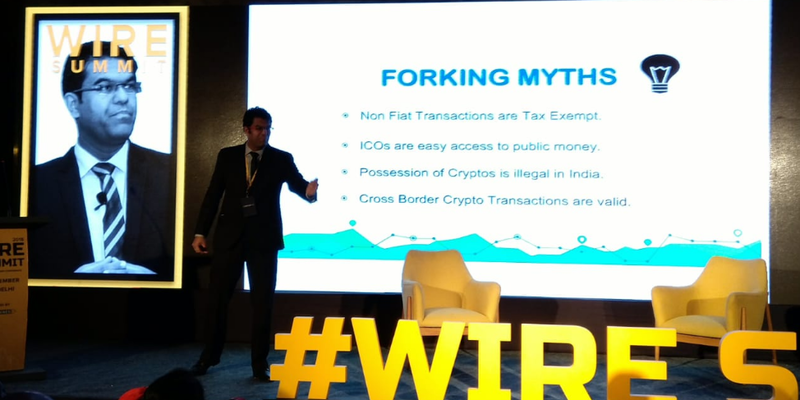 He discussed the Genesis Regulations in India, Forking Myths, Mainchain Precautions, and Testnet Solutions. He also told the role that Indian Government is playing for the Blockchain technology, that the Govt. wants to talk about blockchain but doesn’t want to talk about cryptocurrency. With his session, we got to know about his beliefs in the technology, and what efforts are being made by him to legalize the things long-awaited in India. 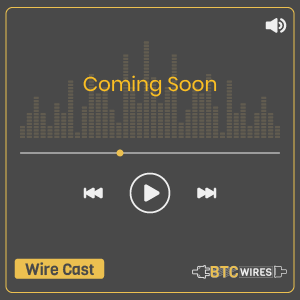 The world famous Editor-in-Chief of Irish Tech News, Simon Cocking, appeared live at Wire Summit 2018. Cocking talked quite a much on Blockchain adoption in the developing countries like India. Indeed, he has some great plans to make an all different approach towards the technology. “I’ve been to India before and would love to visit again to bring my innovative approach. I believe that there are the technology and expertise among the people of India,” he added. While talking a lot of things about successful ICOs, the two Italian personalities gave a really helpful piece of advice. They shared their strategies which brought fruitful results. They told about the platforms Not To Use if you have an ICO. And, suggested some lucrative platforms, which you shouldn’t miss out to use to make your ICO successful. 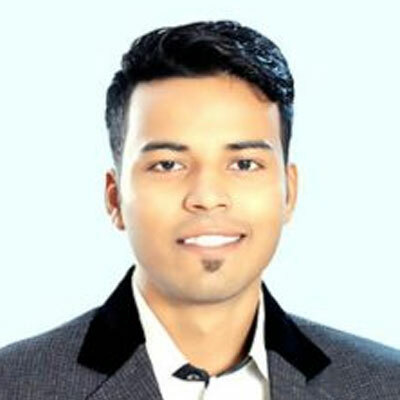 Raghav Sawhney is the Chief Marketing Officer of Blockchain PR Buzz. His platform has worked with 80+ companies by far. MoneyToken.com, Ubex, IHT, Blockchain.io, etc. are some of the projects that which his platform took to the successful edges. Apart from that, he said that Content Creation and Ad Campaigns are some of the important components of ICO Marketing. Yes, there was someone from the farmer background, who completely made the atmosphere all organic. Anand Dholi is the Technology Evangelist/Agile Coach at Farm2kitchen Innovations OU where everyone was trying different things with Blockchain Technology; this was the guy who was doing something all different. Dholi believed that Globalization is a nightmare to Food Safety. He discussed a few problems with the food industry today, and how he is tackling those issues like a pro. Yes, he did what he claimed to cut out the middleman with the decentralized, open-source platform for food-tracking, making the industry completely safe and secure for the citizens. The event isn’t over yet. There’s a lot more interesting things we might we. Stay tuned!